It wouldn't be a stretch to say that the Jeep brand is the most-recognized SUV brand in the world; that it is one of the most-respected builders of 4x4 SUVs, vehicles that can go places that others can't; that it has mapped many of the trails across countries and across the globe, driven by its passionate fans. Jeep brand capability, versatility, and ruggedness is legendary, especially in places like Duluth and Atlanta, where drivers can appreciate a well-built, solid SUV that's really worth its weight. You can get the most for your money in the Johns Creek area with a new 2018 Jeep crossover SUV--but choosing just one to bring home to Norcross is a pretty big challenge. Each vehicle boasts a unique style, an impressive range of features, and a build that makes it best-suited for different types of lifestyles and travel. Fortunately, all of them are also well-fitted to most Alpharetta drivers, so you can shop with confidence. All models offer one or more of the Jeep brand's legendary 4x4 Systems as options. If you rarely go off-road and prefer not to travel in inclement weather, you can save money and enjoy better fuel economy by choosing a front-wheel-drive vehicle; but we encourage the adventurous, the bold, and those truly committed drivers to consider four-wheel-drive options. After all, it's what really makes a Jeep SUV, a Jeep SUV. Explore the differences between Jeep SUVs and model trim levels, differences between 4WD systems, Jeep Wrangler vs Jeep Wrangler Unlimited or Jeep Cherokee vs Jeep Grand Cherokee, and between small vs midsize SUVs to see which of these configurations may be the right fit for you. Read on for a brief overview of all new 2018 Jeep SUVs available at Rick Hendrick Chrysler Dodge Jeep Ram Duluth. The Jeep brand's range of compact SUVs offers something for everyone, from a fuel-efficient subcompact, to a premium five-seater, to an ultra-capable off-roader. Their smaller sizes make them a convenient choice for Georgia drivers who want a little more out of their daily driver (but don't want to give up the practicality of a smaller vehicle), while their high ground clearance and impressive power make them an exceptionally versatile traveler when you're ready to get out of town. This uniquely-styled crossover SUV is the smallest offering in the new Jeep model lineup, making it the perfect option for Duluth or Atlanta drivers who frequent the city and need a compact vehicle that can easily maneuver in tight spaces and busy traffic. The eye-catching designs of the 2018 Jeep Renegade--like X-shaped taillights and removable roof panels--make it stand out among other subcompact SUVs, but its available four-wheel-drive system provides the full Jeep capability experience in bad weather and on rough roads. The new Jeep Renegade offers available Jeep Active Drive 4x4 System. With a major redesign for the 2018 model, the new Jeep Compass falls right in line with other modernly-styled Jeep SUVs in the newest lineup. Its compact body is a little bit smaller than the Jeep Cherokee, but still offers much of the same attractive styling and aggressive design. Practical performance (180 HP) and a surprisingly spacious interior (up to 59.8 cubic feet of cargo space) make the 2018 Jeep Compass a great choice for Georgia drivers who want more--but want to stay on-budget. The new Jeep Compass offers available Jeep Active Drive 4x4 System. Arguably the most iconic model in Jeep brand history, the Jeep Wrangler needs no introduction; it's all-new for the 2018 model-year, with updated powertrains, new trim levels, and a few exterior changes. It's the most capable vehicle of its size in its class--or in any class--and its standard 4WD gives you the power to go just about anywhere that you wish to go. A wash-out interior makes it the perfect adventure vehicle, while its classic removable doors/hardtop make it unlike any other 4WD SUV out there. The new 2018 Jeep Wrangler JL is best for any driver who wants to seize the day at any given moment. The Jeep Wrangler 2-dr offers standard Command-Trac 4x4 System; Rubicon trim levels come standard with Rock-Trac 4x4 System. Another legend in the lineup. When the Jeep Cherokee was reengineered with a polarizing new design after years of being out of production, nobody was quite sure of the vehicle's future. But, the newest Jeep Cherokee has absolutely proven itself. Thanks to serious smarts, a sharp new style, a stunningly well-equipped interior that offered a lot of luxury features, and a comfortable cabin that's driver-centric and practical, the 2018 Jeep Cherokee is a top choice for anyone looking for a capable daily driver in the Atlanta area. The new Jeep Cherokee offers available Active Drive I, Active Drive II, or Active Drive Lock 4x4 System. If you have a big family, you frequently need to haul cargo or equipment around town, or you just prefer an SUV with a little more room for gear or the occasional big group, you need to consider one of the Jeep brand's attractive and versatile new midsize SUVs. Seating for five is expanded (there are currently no seven-seater Jeep SUVs on the market) with added cargo options, without compromising on capability or strength. If you have an adventurous family who just can't settle for a low-riding SUV or a minivan, the Jeep brand has a match for you. 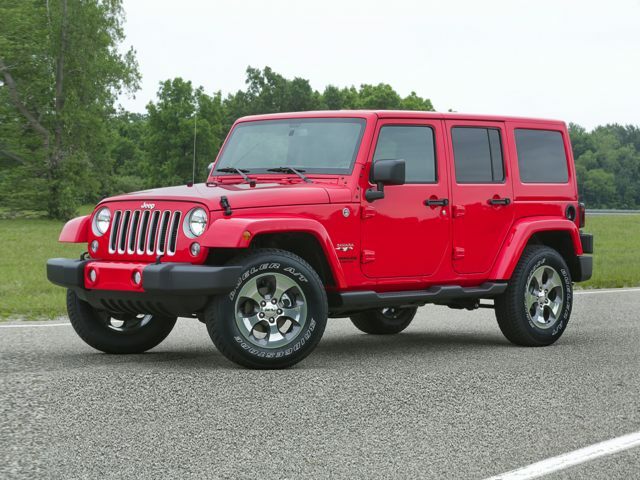 If this vehicle looks and feels like a Jeep Wrangler--you're right. The only real difference between this model and its smaller sibling is its length and passenger space: the new 2018 Jeep Wrangler Unlimited can seat five adults while still making space for cargo and equipment behind the rear seats. The Jeep Wrangler Unlimited JL is also all-new for the 2018 model-year, offering new powertrain options, new trim levels, and new features. Jeep may be dropping the "Unlimited" name from this model's title in the future, switching to just 2-door and 4-door to differentiate the two sizes. The Jeep Wrangler Unlimited 4-dr offers standard Command-Trac 4x4 System; the Rubicon trim level comes standard with Rock-Trac 4x4 System. The ultimate luxury Jeep SUV, the new 2018 Jeep Grand Cherokee is a stunning option for drivers looking for a premium all-road experience. 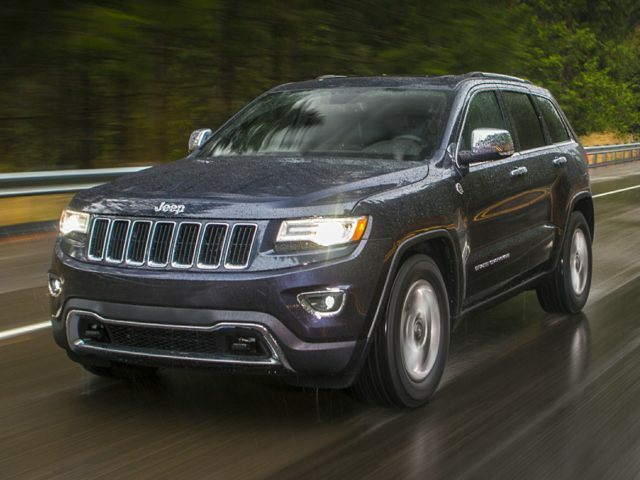 Similar to the relationship of the Jeep Wrangler-badged vehicles, the Jeep Grand Cherokee offers many of the same features, looks, and power of the smaller Jeep Cherokee, but with more cargo space (up to 68.3 cubic feet) and more elbow room for passengers. The larger model, however, does offer a higher range of horsepower and torque, as well as towing power. The new Jeep Grand Cherokee offers available Quadra-Trac I or Quadra-Trac II 4x4 System; SRT trim levels come standard with model-specific Quadra-Trac SRT 4x4 System. Browse all new Jeep SUV inventory at Rick Hendrick Chrysler Dodge Jeep Ram Duluth to learn more about the new 2018 lineup, dig deeper into the differences between crossovers and SUVs, and explore pricing and deals. If you're still unsure of which model is right for you, visit us for a test drive or contact us.